At Waterside Park we have a range of meeting and function rooms for hire. This makres it the ideal venue for training courses, conferences, business meetings, weddings, parties, wakes and christenings. For Business users all our rooms have internet access. 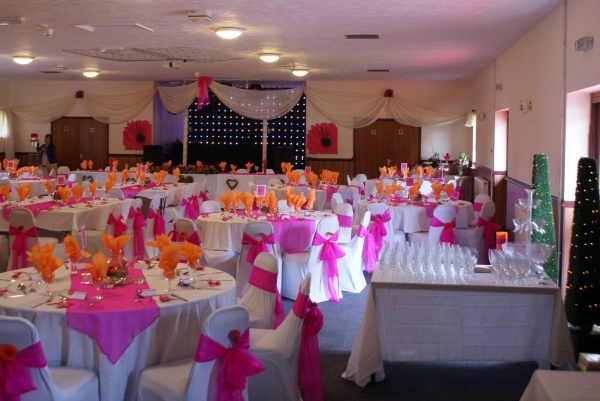 This is our largest room that can hold up to 160 people ideal for weddings or large business meeting the room can be set out in Cabaret or theatre style .The suite also comes with its own bar area and cloakrooms including accessible facilities. We offer catering this can range from hot meals to buffets or just tea/coffee and biscuits for meetings. The room opens out on to a large grassed/patio garden which is ideal for bouncy castles or hog roasts . The cross bar holds up to 60 people with space for a dj it comes with its own bar area and has a flat screen tv the room opens out on to a large grassed/patio area ideal for christenings or parties .